Turn your fling with India into a long-drawn romance by embarking on a street food journey within the heart of the country. Every lane in India, whether small or big, wide or narrow, in a city or in a village, offers an array of tangy, quick and cheap street food. And these Indian delicacies have acquired fame not just within the country, but all across the globe. So hold tight while we tickle your taste buds and talk about the irresistible street food of India, because after reading this, your tummy is sure to rumble with hunger! Pani Puri has travelled across India and made the country fall head over heels in love with it. A spicy and a crunchy wonder that is absolutely delicious, with every region developing its own version of the snack according to regional preferences. Crisp fried dough balls (that are hollow) are stuffed with either potatoes, sprouts or thick white peas dry curry (ragda) and sour, tangy or spicy water, to offer the perfect Pani Puri. 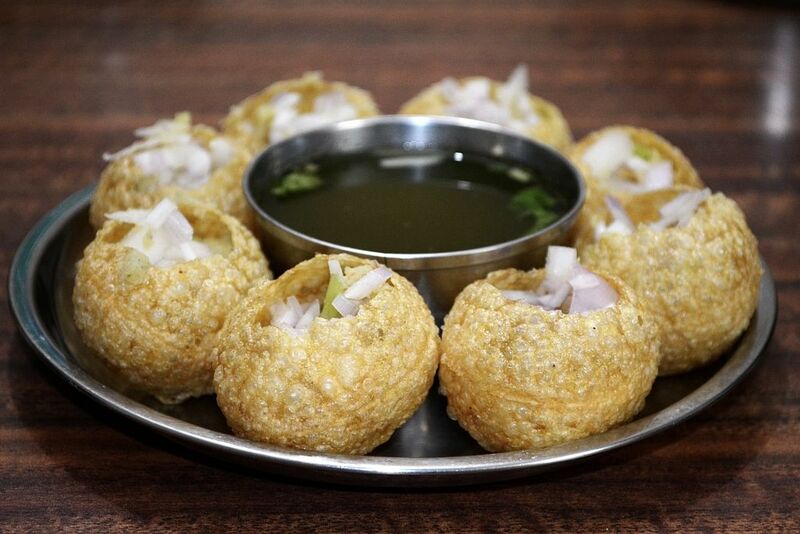 A good Pani puri is truly unique with its sensational burst of flavours and purists would argue that the only pani puri is the ragda pani puri. If you happen to be in Mumbai book a reliable cab and take a tour of the cities best street food. 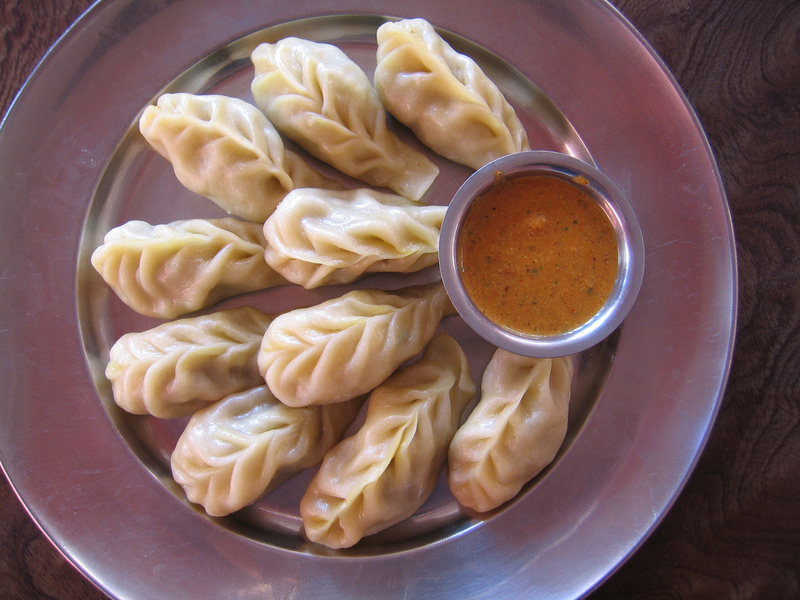 The Tibetan Dumplings from North East India, Momos have probably travelled the farthest of all foods and built a place in almost every Chaat Gali (Street Food Lane) of India. These steamed or fried dumplings are prepared out of all purpose flour (maida), stuffed with mixed vegetables or ground meat or paneer, and enclosed in a potli (round pocket) or a half-moon crescent-like shape. Incomplete without some spicy red chilli dip, you can savour these lip-smacking momos with a spicy dip and steamy gossip. Lakhanpur is a small town in Jammu and Kashmir, situated close to the Punjab border, which is why the famous punjabi street food, Ram Ladoo, is known as Lakhanpur De Bhalle in J & K.
Prepared from soaking & grinding the yellow split gram and the bengal gram with coriander, chili ginger paste, asafoetida and salt, this snack is deep fried in a wok until golden brown. Garnished with mint chutney (dip) and grated radish, it’s finally served hot and sprinkled with lemon juice and chaat masala. 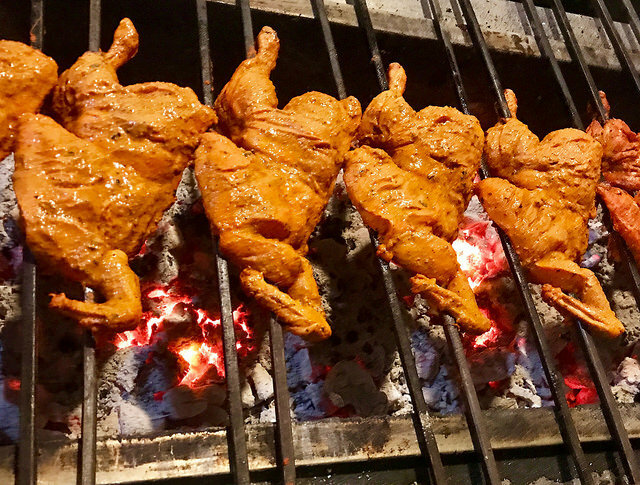 Lucknow, the city of Nawabs, has caught the fancy of many poets, songwriters and connoisseurs of history, but the city is particularly loved for its meaty delights – its succulent kebabs (Galouti, Tunde, Boti and Chapli). A delicacy made out of minced meat, Tunde Kebab is part of Awadhi cuisine. According to popular beliefs, the dish incorporates 160 spices and includes ingredients like yogurt, garam masala (mixture of ground spices), ginger, garlic, ground cardamom, cloves, ghee, vinegar, sugar & lime. A comfort food that needs no special occassion, Thukpa Soup, just like momos, originates from Tibetan cuisine and is popular around the Pahadi regions and North East India. 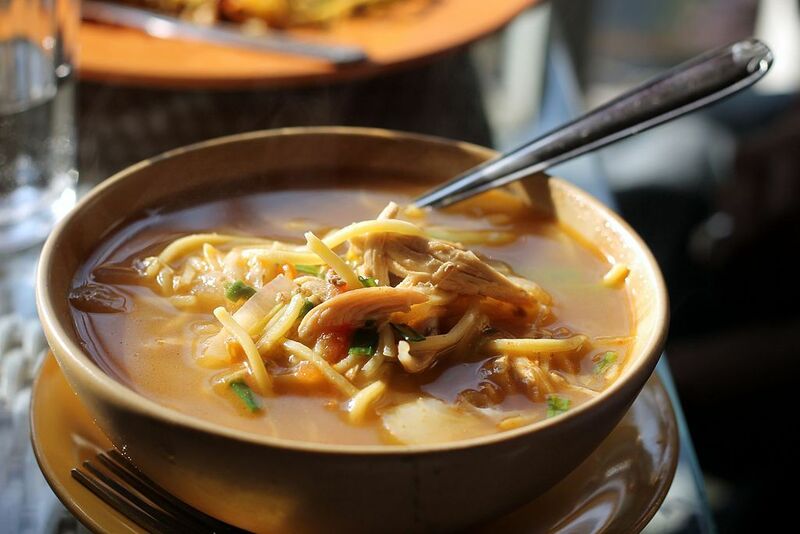 A more diluted form of soup, Thukpa Soup consists of hand-made flour noodles accompanied with assorted vegetables. It derives its main flavour from the minced meat that is added into the dish along with ginger and garlic. 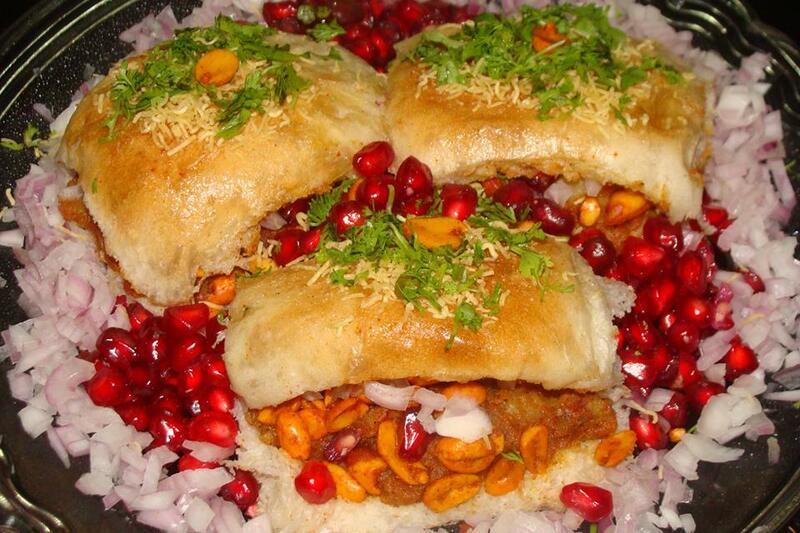 Traditionally from the streets of Gujarat, Dabeli has travelled to the neighbouring cities of Mumbai and Pune and is now relished by every palate across the country. Made with a sweet and spicy potato mixture, filled into a small buns and topped with onion, pomegranate, garlic chutney and sev (tiny crunchy noodles), the sheer simplicity of this snack and its undeniable taste is sure to get you hooked over the street stall for some more of it. 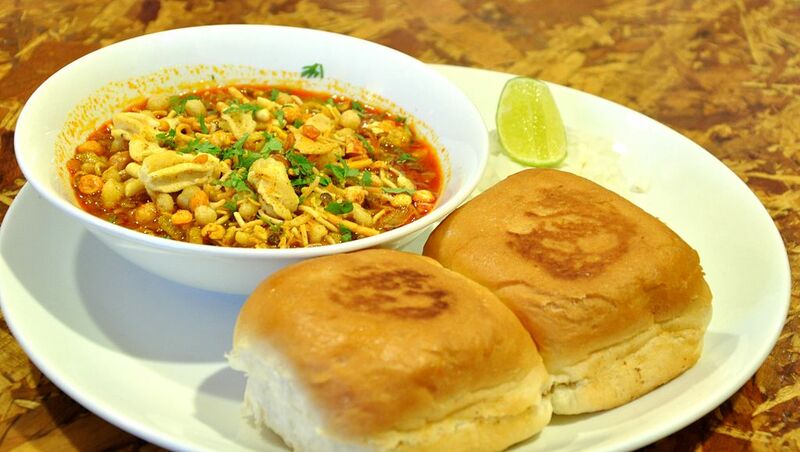 From the illustrious family of pav-based (bun-based) street foods of Maharashtra, we bring to you the Misal Pav. Flavourful, wholesome and oh-so decadent, this street food is every food lover’s dream come true. Misal is a spicy curry made from moth beans with a dash of eclectic spices, onion, garlic, ginger and chillies. Topped with boiled potatoes, sev, chopped onions and coriander, this flavourful mixture is enjoyed with pav toasted in butter. A haven for those who love traditional South Indian vegetarian food, Paddu is a quick bite, actually a miniature version of the famous South Indian recipe, Dosa. A favourite breakfast staple, Paddu is prepared from left over dosa batter and needs a special type of pan, which looks like an idli plate but is a non-stick or cast iron skillet. This delicacy is prepared by soaking and grinding urad dal (dehusked black gram lentils) and rice, thus making it into a smooth batter that is set aside to ferment overnight. After adding yogurt, chopped onions, minced green chillies, curry leaves and coriander, the batter is roasted on the paddu pan, until light golden from both the ends. 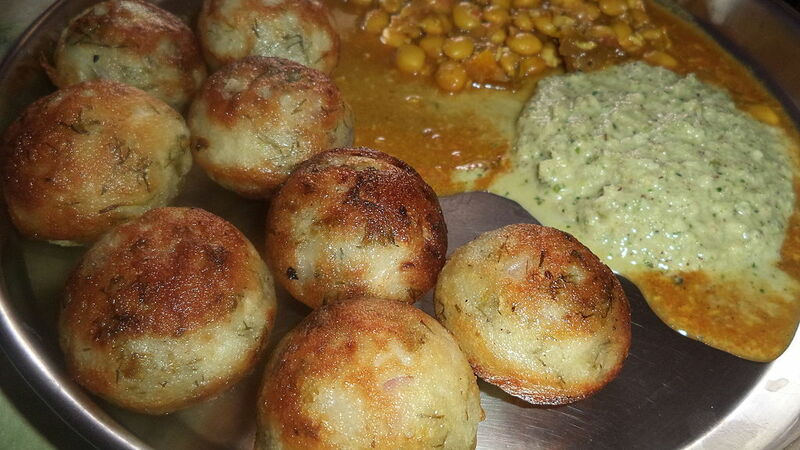 These tiny dosa balls taste best with filter coffee and coconut chutney. So are you salivating yet? Whether you’re in Northern India or Southern, East or West, a mélange of exotic spices and regional ingredients await you at every corner. It’s time to head out and experience the real taste of ‘Indian Street Food’, now that you know where the best ones are!